The Defense Language Aptitude Battery Test, or also known as DLAB, is a military administered language exam that focuses on measuring a person’s ability to learn a language. It is a required test for any military person who is looking to attend a Defense Language school such as Defense Language Institute (DLI) and is required for certain military communities in the application process. Who Can Take the DLAB Test? As long as you are a service member in good standing or a spouse of a service member in good standing, then you are eligible to take the exam. Furthermore, you are allowed to take the exam as many times as you want as long as it hasn’t been less then six months since the last time you took it. What is a Good DLAB Score? While the minimum score to enter the Defense Language Institute is 95 and the minimum score for a Cat IV Language is 110, should you shoot for either of these? The short answer is no. Like we have stated on previous articles, your DLAB score will carry with you as you progress in your military career. <strong>Google</strong> Below you will uncover the link to some web-sites that we assume it is best to visit. <strong>Google</strong> The time to read or stop by the material or web pages we've linked to beneath. 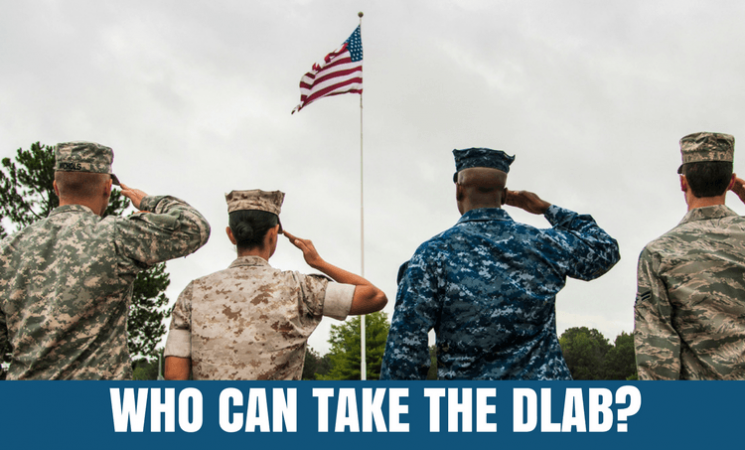 The DLAB Prep was created to help military members prepare and study for the Defense Language Aptitude Battery Test by giving you study guides, practice tests, and more. Copyright © 2017. All rights reserved. We are a participant in the Amazon Services LLC Associates Program, an affiliate advertising program designed to provide a means for us to earn fees by linking to Amazon.com and affiliated sites. See Affiliate and Legal to learn more about our operations.